The Supermarine Spitfire is a British single-seat fighter aircraft that was used by the Royal Air Force and many other Allied countries throughout the Second World War. The Spitfire continued to be used as a front line fighter and in secondary roles into the 1950s. It was produced in greater numbers than any other British aircraft and was the only British fighter in continuous production throughout the war. The Spitfire was designed as a short-range, high-performance interceptor aircraft by R. J. Mitchell, chief designer at Supermarine Aviation Works (which operated as a subsidiary of Vickers-Armstrong from 1928). Mitchell continued to refine the design until his death from cancer in 1937, whereupon his colleague Joseph Smith became chief designer. 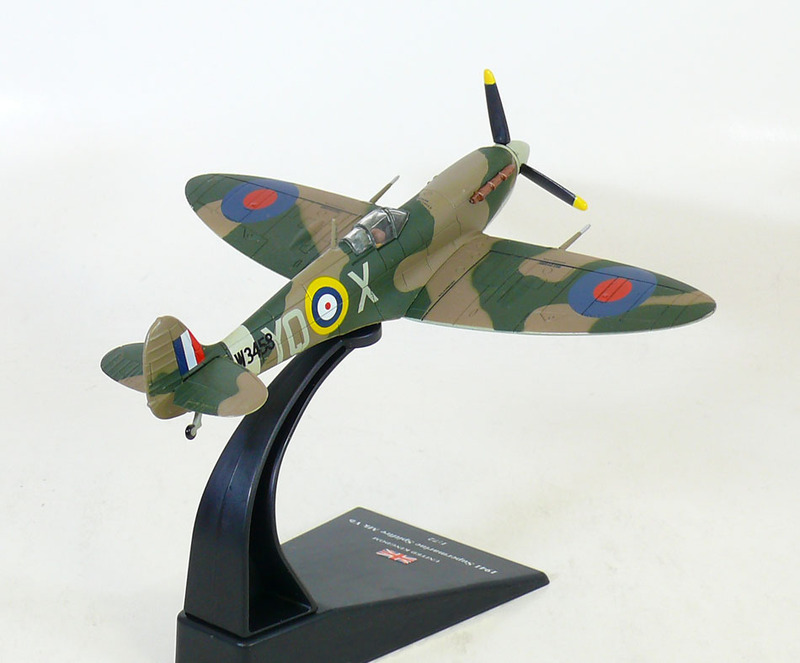 Where speed was seen as essential to carrying out the mission of home defence against enemy bombers, the Spitfire's thin cross-section elliptical wing allowed it a higher top speed than several contemporary fighters, including the Hawker Hurricane. 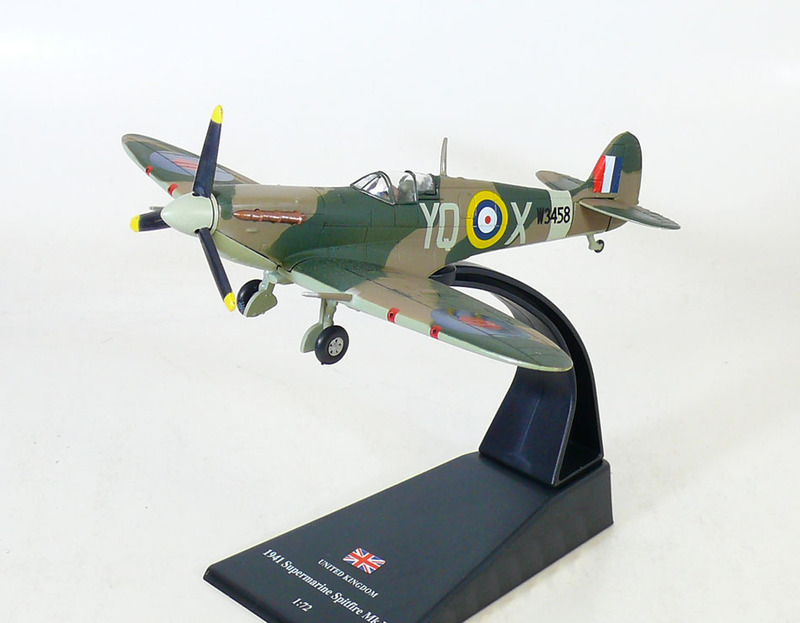 During the Battle of Britain (July–October 1940), the Spitfire was perceived by the public as the RAF fighter, though the more numerous Hawker Hurricane shouldered a greater proportion of the burden against the Luftwaffe. The Spitfire units had a lower attrition rate and a higher victory-to-loss ratio than those flying Hurricanes. After the Battle of Britain, the Spitfire became the backbone of RAF Fighter Command, and saw action in the European, Mediterranean, Pacific and the South-East Asian theatres. Much loved by its pilots, the Spitfire served in several roles, including interceptor, photo-reconnaissance, fighter-bomber, carrier-based fighter, and trainer. It was built in many variants, using several wing configurations. Although the original airframe was designed to be powered by a Rolls-Royce Merlin engine producing 1,030 hp (768 kW), it was adaptable enough to use increasingly powerful Merlin and later Rolls-Royce Griffon engines producing up to 2,035 hp (1,520 kW).